Welcome to collarholics anonymous were we can share our wallets hurt for the money spent on "The Precious"
HAI, My name iz Jones. I haz ben byin collarz fur 3 yr.
Manny87 and FreiasMom like this. Hahaha you need help woman! 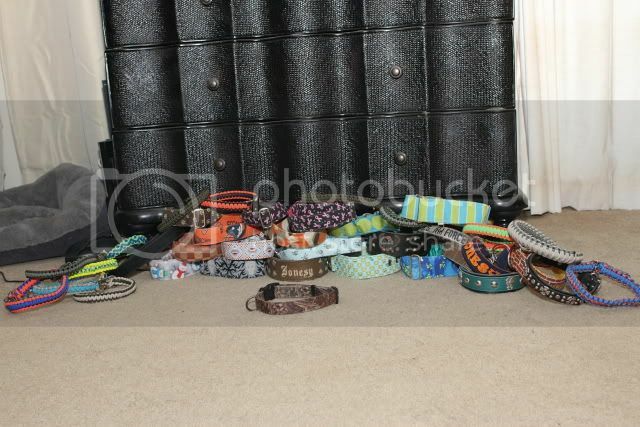 Heres Nox's collection so far..
Wow! I have some catching up to do. I'd better get crack'en. Lucky, Ilka and Leontine are safe only because their mommy can't afford to buy them more than one apiece. Omg Jonesy is too cute! Love the narrative and his expressions are priceless! 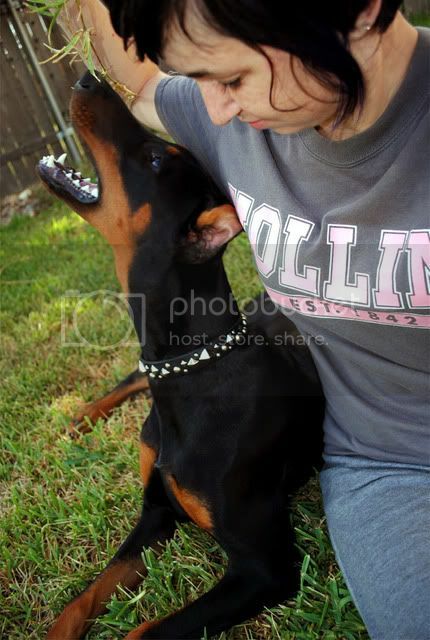 And Nox, the young magnate! I hope you both have those collections insured. 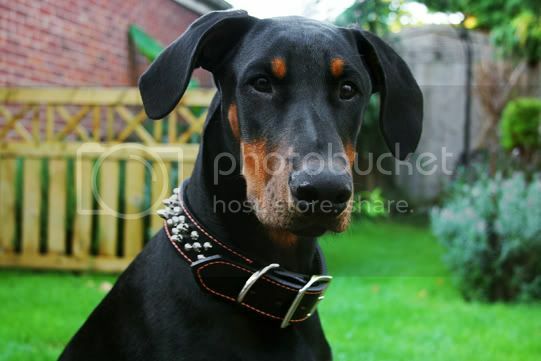 Dogs Name: Rosebud, Rose Blossom, Bonnyrose (never to be forgotten), Rubirose! 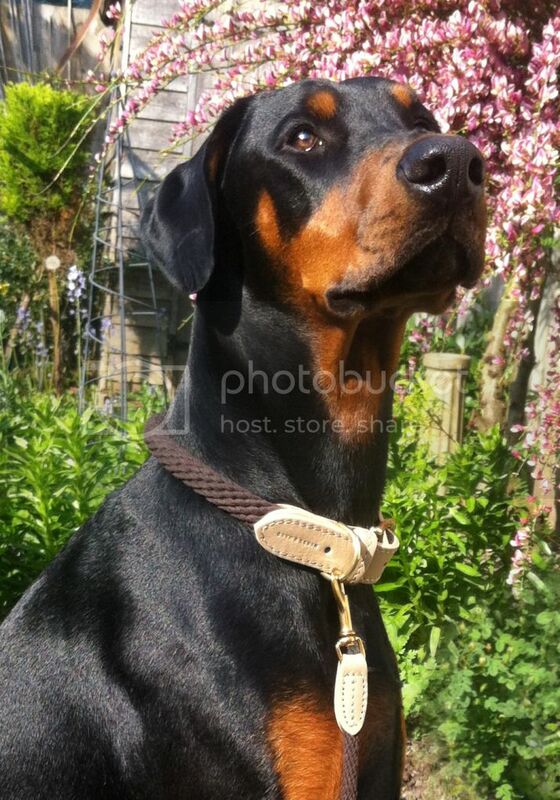 Dogs Age: Born May 17, 2012 "Rubirose"
OMG you people are sooooo crazy, I love your crazy, I love the way DT owned humans are such slaves to the "precious", These are wonderful pictures and great collars, and yes you are compulsive obsessive's and I LOVE IT! Ohhh this thread has been a long time coming! 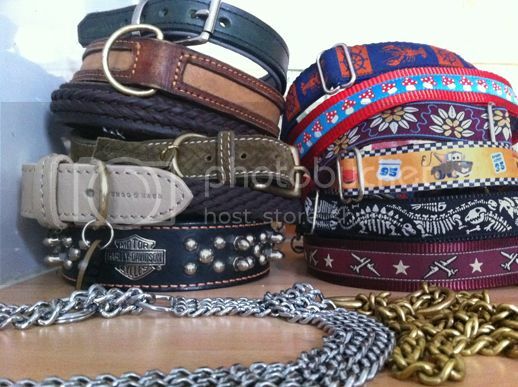 I don't even want to know how much I've spent on collars over the years. There are definitely more to my collection but I can't find them all. I love that Man Eater one! 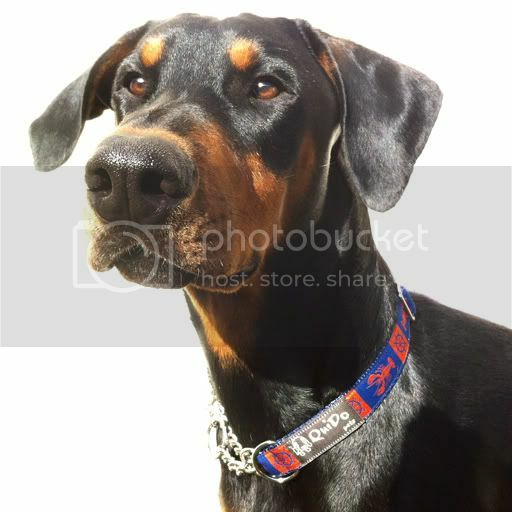 Is that a Collarmania collar? 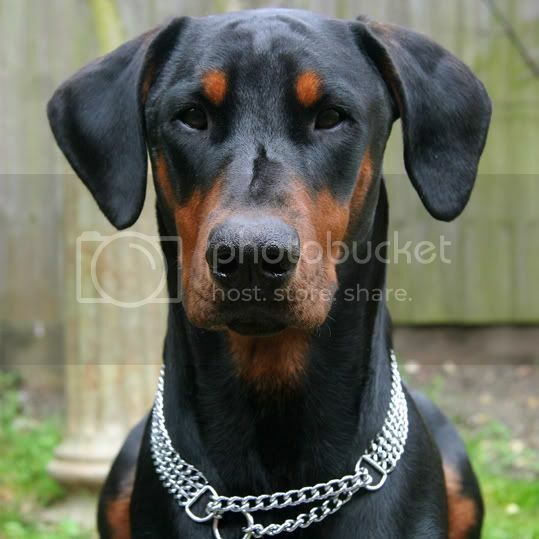 Dogs Name: Rhapsody's Mystery of the Spanish Chest - "Dreizehn", Gaia's Bijort - "Ruthless"
1. See this cute little mug of mine? I was 13 weeks old and this is my first collar. It had dinosaurs on it, mom said they were manly, and had a matching leash. 2 (and 3). 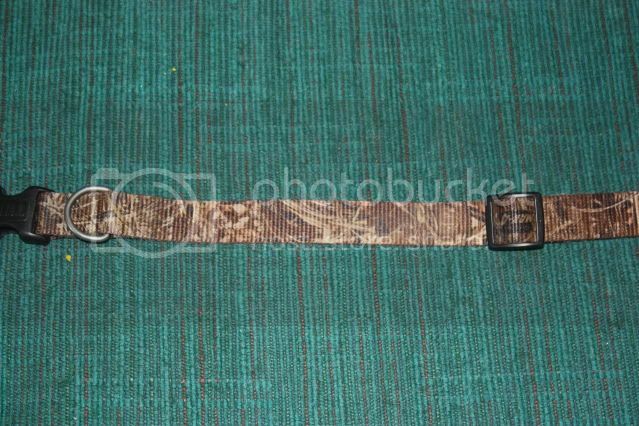 This was my second collar! My mommy liked it so much that she actually bought a second one for when this one gets uncleanable. 4. 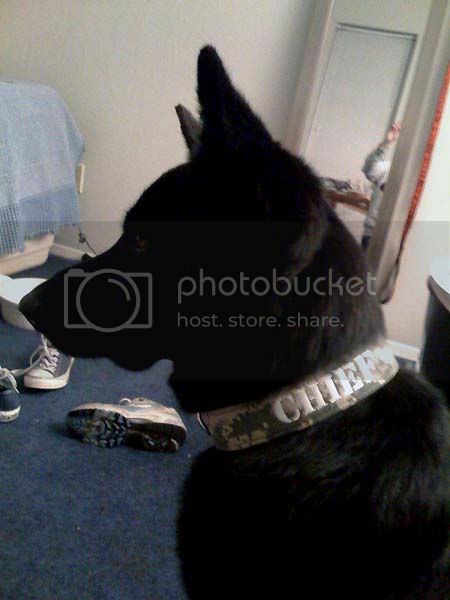 This was my first big boy collar! I may be falling for her tease (I wanted that weed!) but I was looking darn snazzy while I was at it. 5. Did you know I was a super hero? Saving the day is how I stay fit! 6. This one is mom's favorite. It's nice... but it's not heroic! I have pictures of me wearing it (and I look studly!) but she says that this one shows it best. 8. Got a festive event? I have just the collar for it! 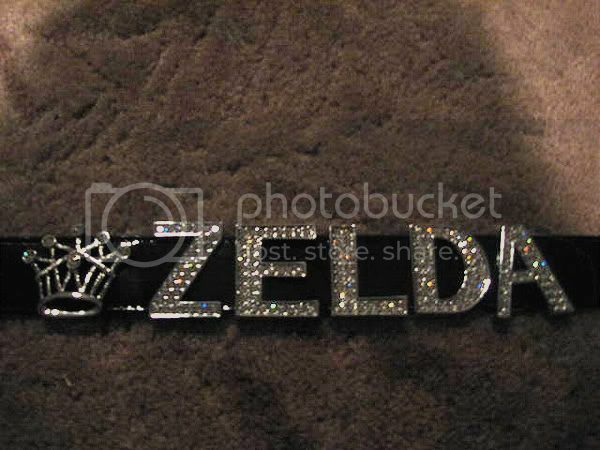 This here is my gentelman collar. Nothing is more dapper than a bowtie. 9. 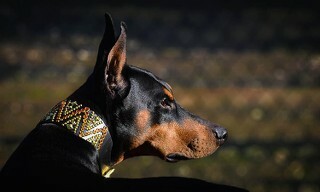 For when I want to be a minimalist I have this collar. 10. When I want to be preppy I can do that too. 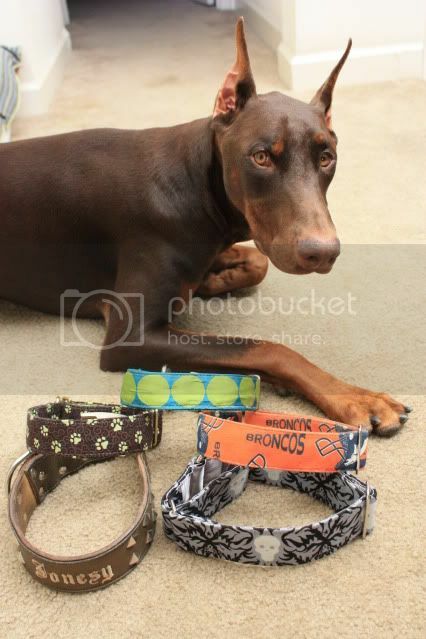 I am a versatile doberman, DT! There are more but I don't have pictures of them. If you ask me SOMEBODY is falling behind and should step up their game with that camera. Still, this is why I would like to nominate my person, known to you as PatchworkRobot, for this group. SHE HAS A PROBLEM (but doesn't believe me when I tell her). No dog is at fault for being born into this world. 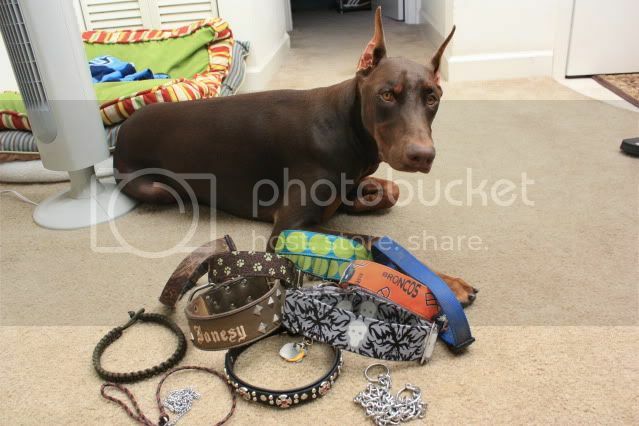 Poor Diesel is going to be subjected to a lot of pictures tonight haha we are on our way to a big collection! I think we are at 10 now. 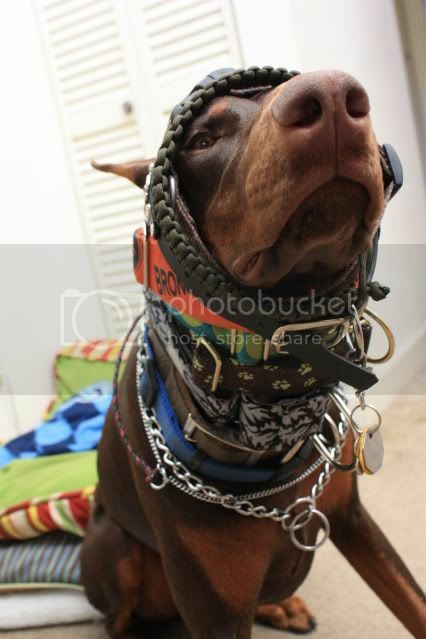 Jones I'll save you from your crazy momma trying to put all those collars on you! You do look super cute though. Patchwork! 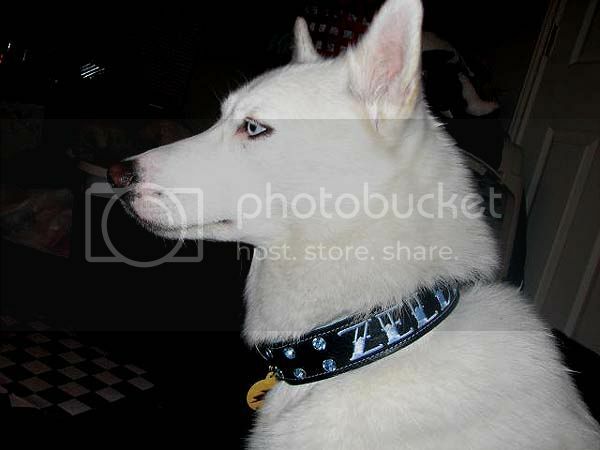 We have the same superhero/comic collar I think! Nekkid pictures...haha! I LOVE THIS THREAD!! Poor Duke is so deprived. 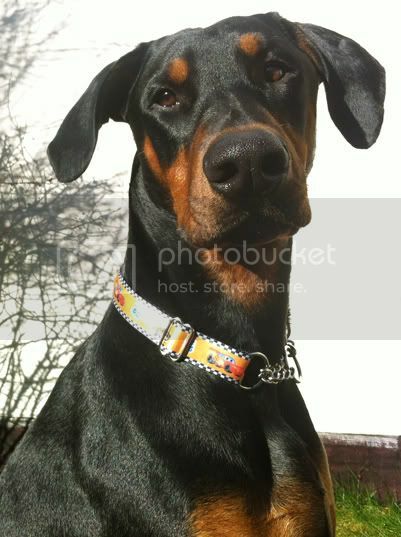 Maybe I should go buy this collar I've been eyeing at the boutique store for him! 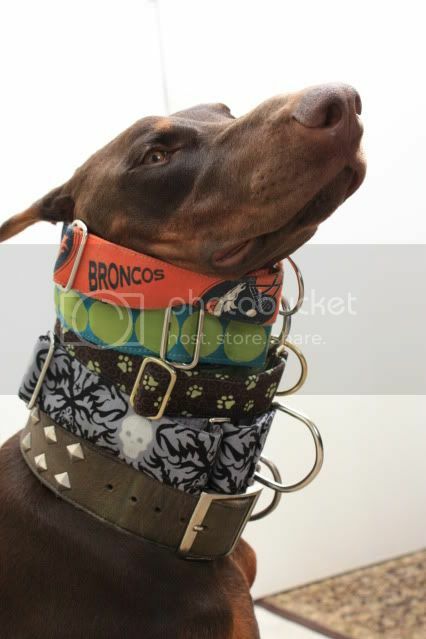 I think I might qualify here too FYI, I do NOT think it is fair to show all these pictures of beautiful dogs in beautiful collars, and then not say where the collars came from?! Poor Brandy only has three collars. 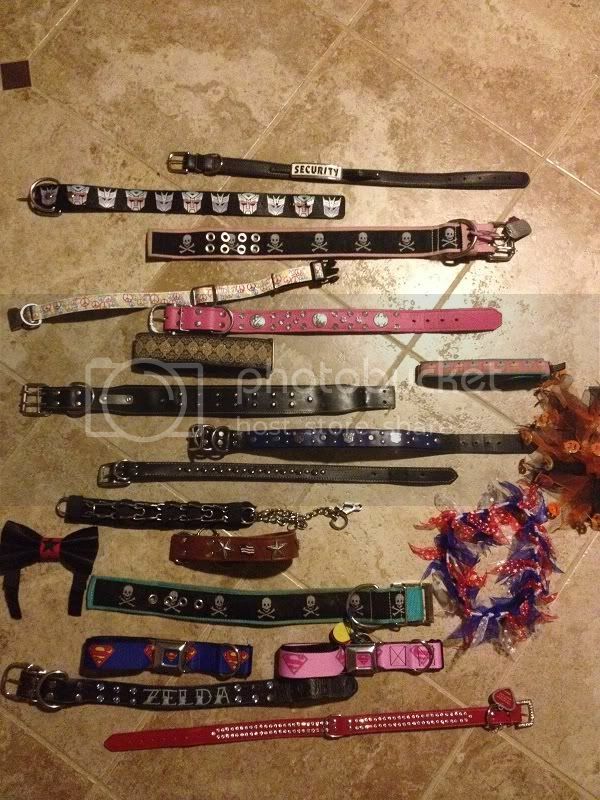 Her pink one with daisies, because everyone thought she was a boy, a black leather one and her choker collar for when she takes me on a walk. I never knew they had so many pretty ones, but now thanks to DT, we have a list! Just gotta get hubby back to work...he liked it better when I didn't know! Haha! Said the kettle to the pot! Where is the burgundy one with the planes from? 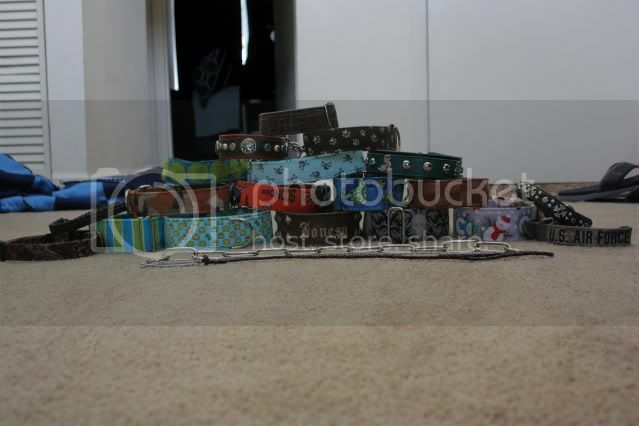 Toby would like to make it known that his mum is just downright slacking on her duties of buying him collars. He has just the one, a smelly old leather effort, (that still smells of pig poop despite being washed a dozen times). Please can someone re-educate his human before he has to do something drastic and go on the internet and try and find himself a decent collar or 3, charging it to mums plastic and probably getting into trouble because of. Has to be my favorite "showy collar"
Titles: None. But it's my goal!! Can't wait for her to be all grown up so she can have some epic looking leather herself! It's what the indigo princess deserves!! 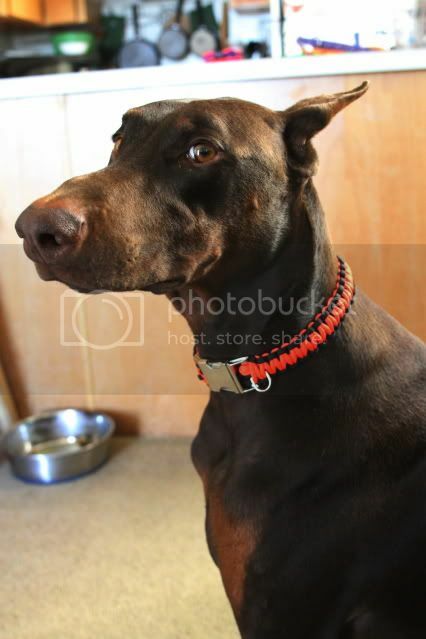 I LOVE Rupert's Mater collar! Also, where is this one from? I've always loved it.